RoHS, colloquially known as the lead-free directive, restricts the use of six hazardous materials in the manufacture of various types of electronic and electrical equipment. 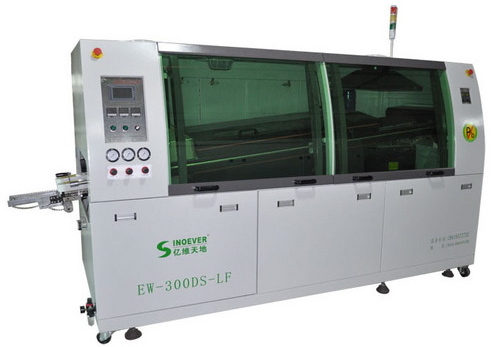 When producing PCB’s in compliance with RoHS, it is necessary to use lead-free solder. This type of solder requires that the heat of the solder is increased by 20°C, from 250°C. to 270°C. This increase in temperature makes the choice of PCB material critical. If the incorrect material is chosen, the board can be at risk of de-lamination or “pop-corning” during the manufacturing process, or, in the field of use. The effects of the higher heat exposure on the PCB and the components renders certain materials unsuitable. Consideration of the many PCB construction techniques, such as; number of layers, blind and buried vias, overall thickness, copper thicknesses and number of passes through soldering processes are all parameters that must be considered when choosing the correct material for your PCB. Tg (glass transition temperature) is the main parameter for making the correct material choice. Tg is a measure of when the EPOXY in the pcb softens. Tg has nothing to do with the glass fibre in the PCB. Tg 130-140 was standard for lead based soldering temperatures while Tg 150 & Tg 170 is now generally used for lead free soldering. It has since been well established that trapped moisture in the laminate has caused the destructive effects. Some designers continue to use lower Tg material in their pcbs but ensure that storage is moisture free. Otherwise careful pre-baking immediately prior to population and soldering of all none ROHS compliant components or improperly stored components can enable safe use of such components including pcb’s. Please contact Ship circuit for more information. If you are unsure of which material to use in your product, you can contact us to discuss your application and the requirements. We are always happy to help.